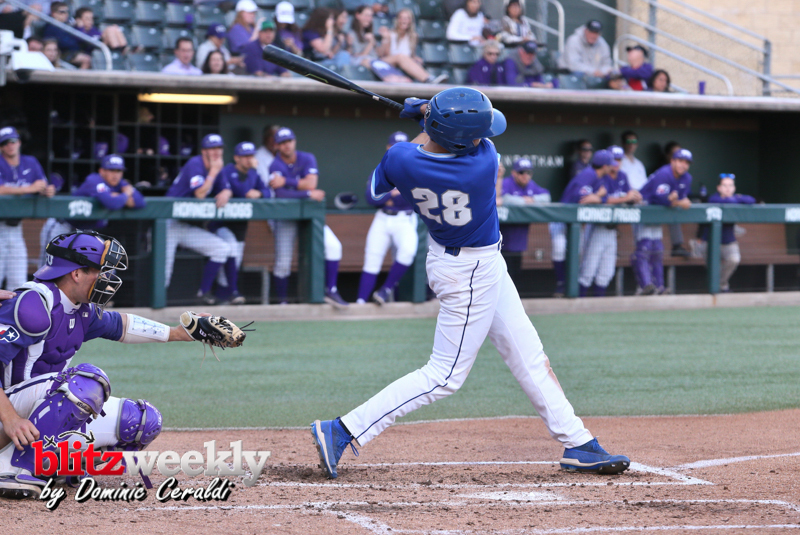 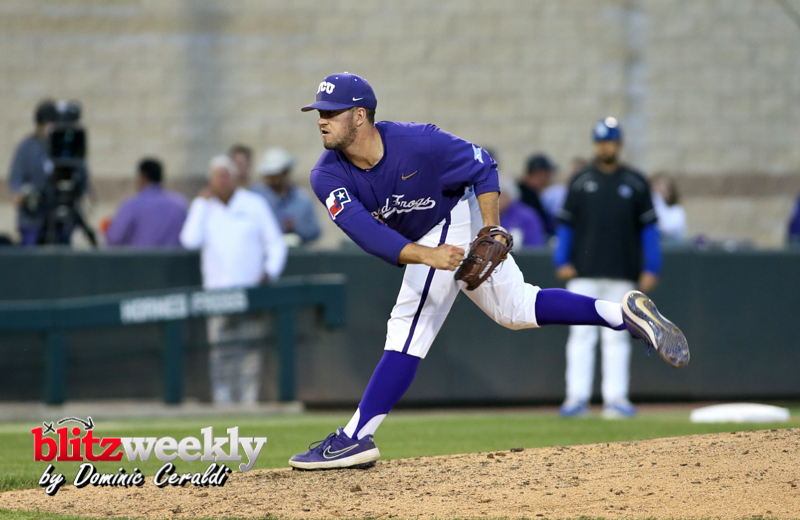 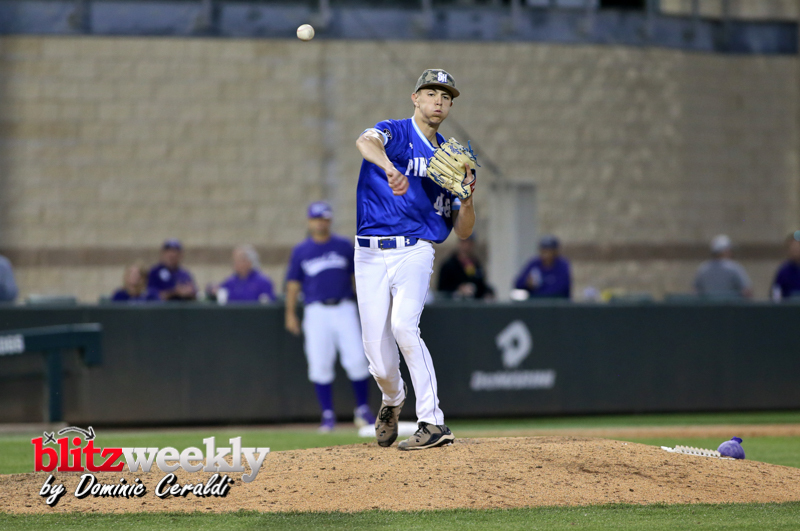 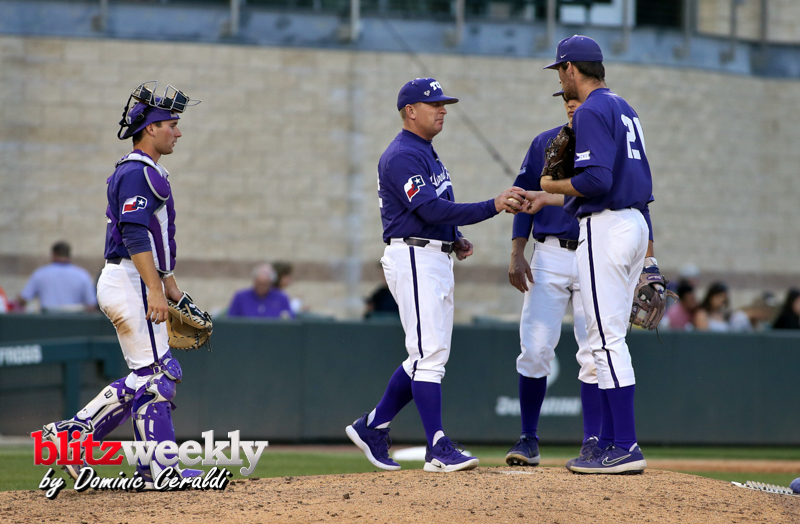 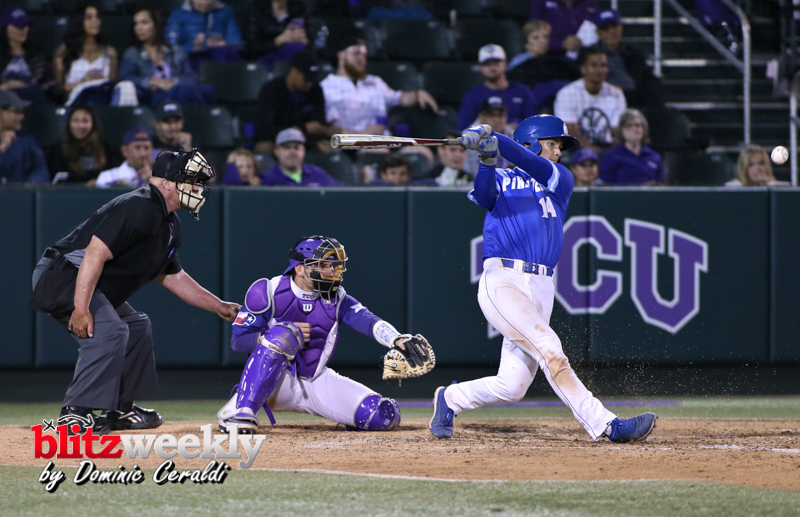 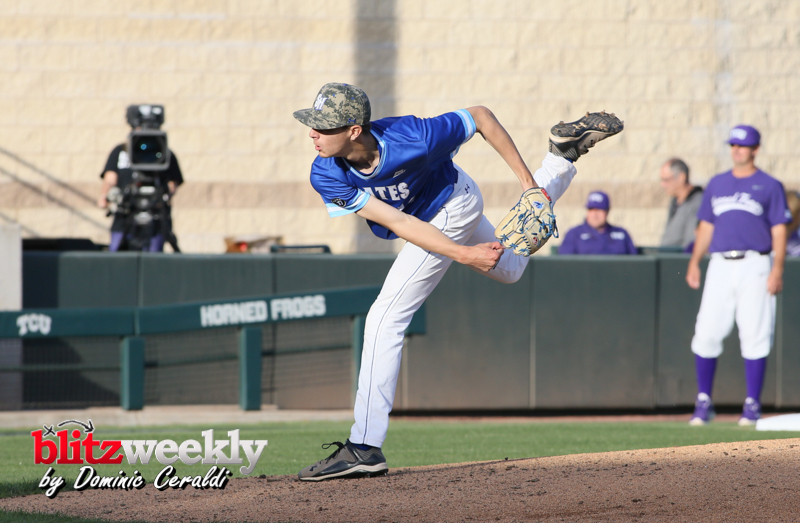 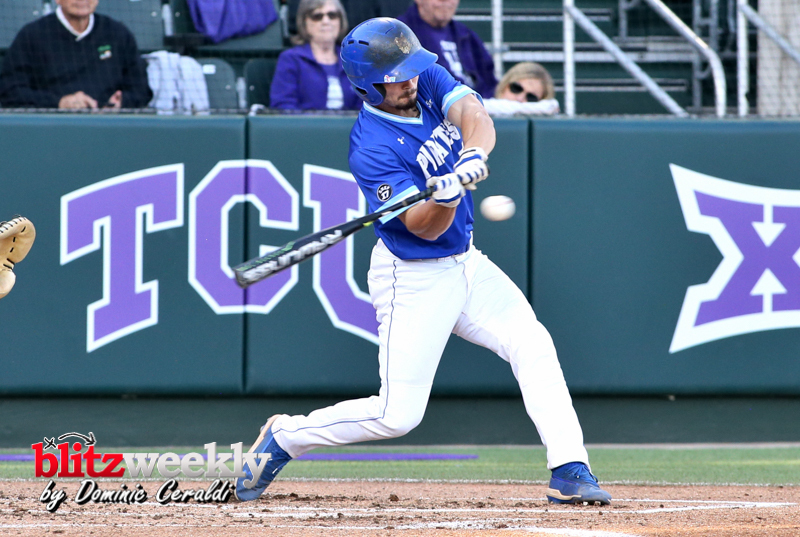 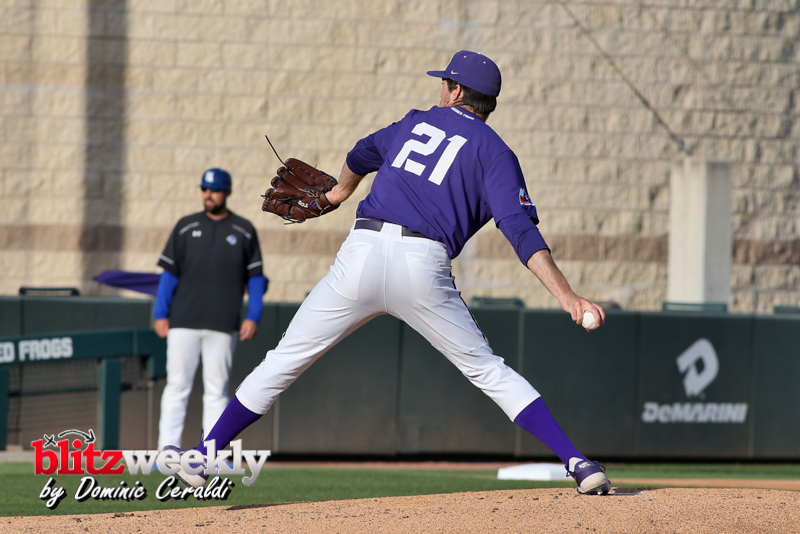 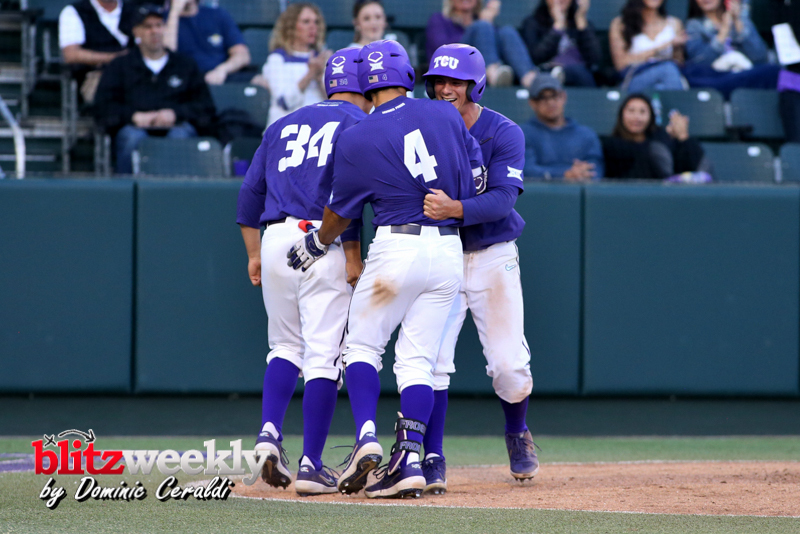 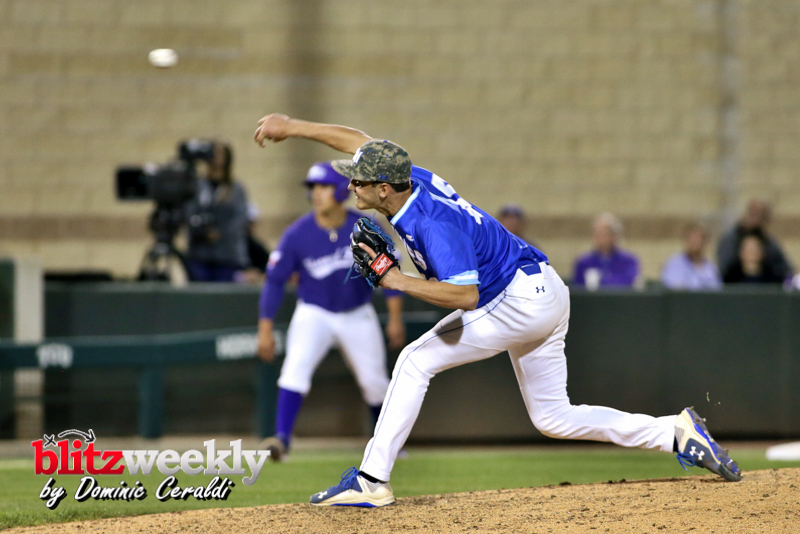 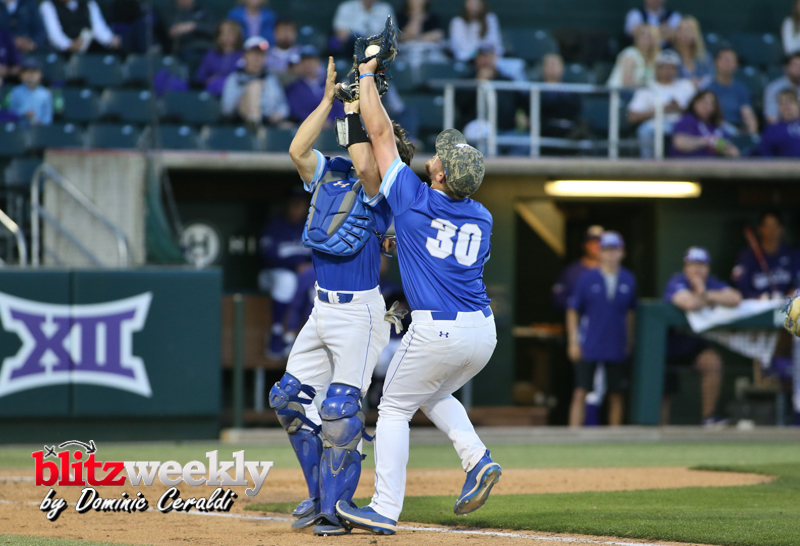 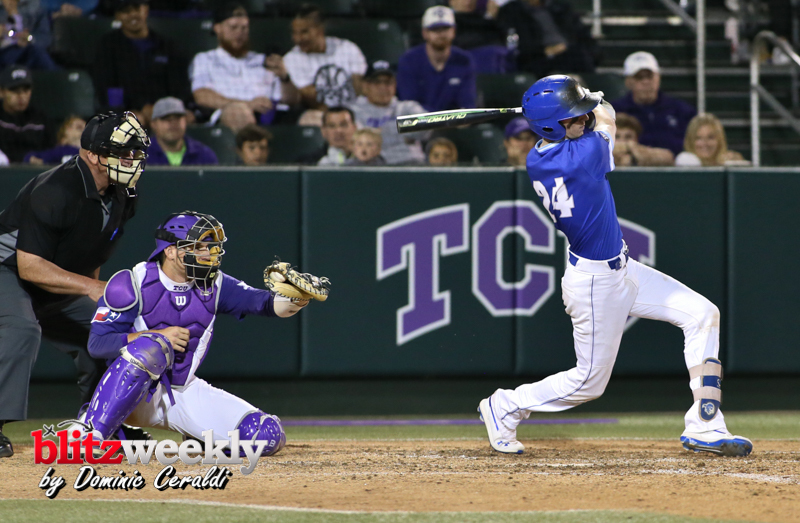 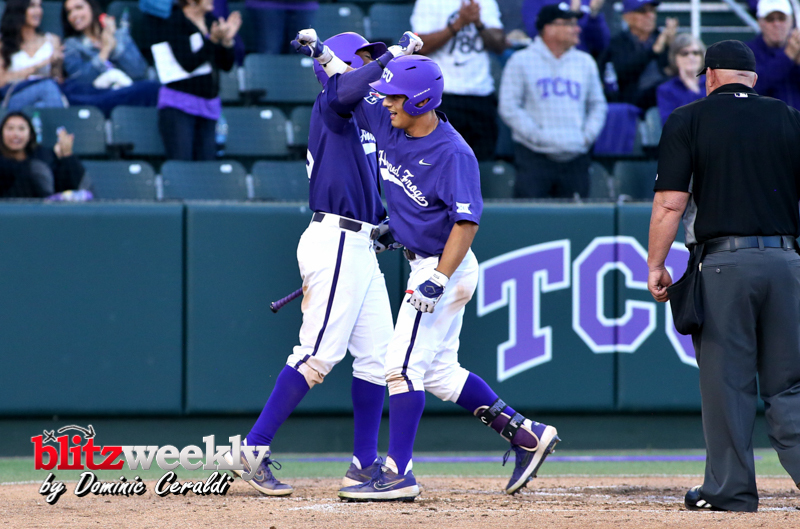 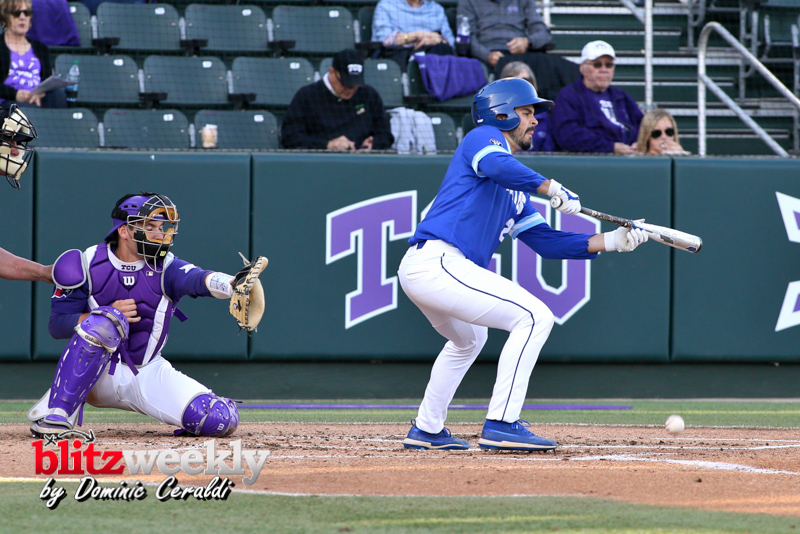 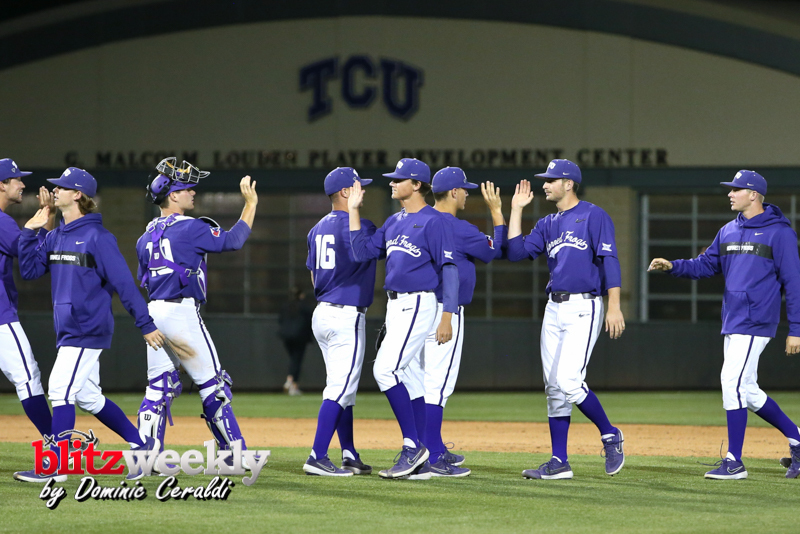 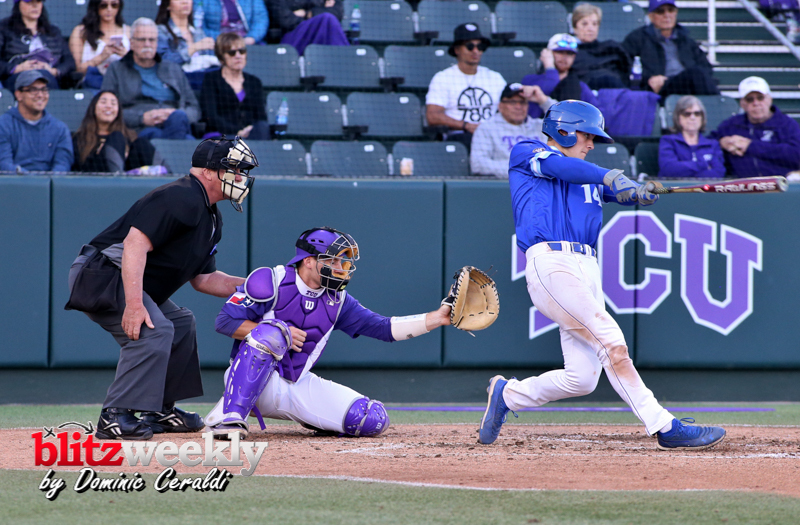 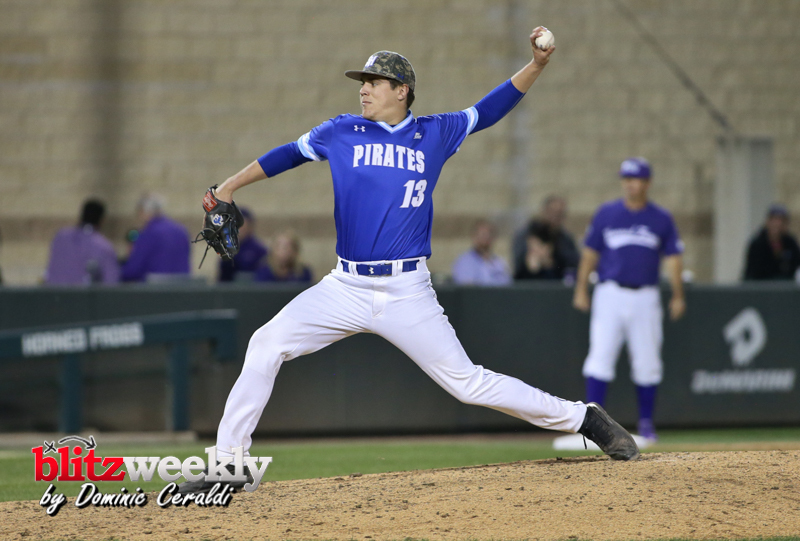 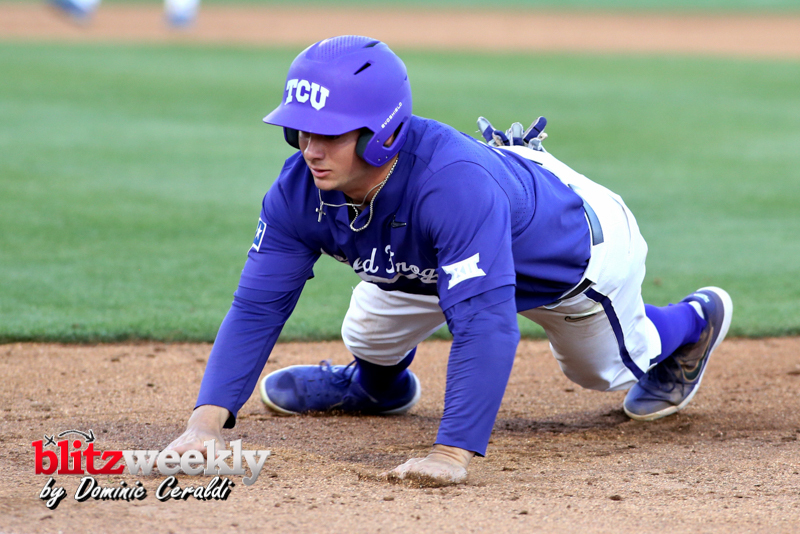 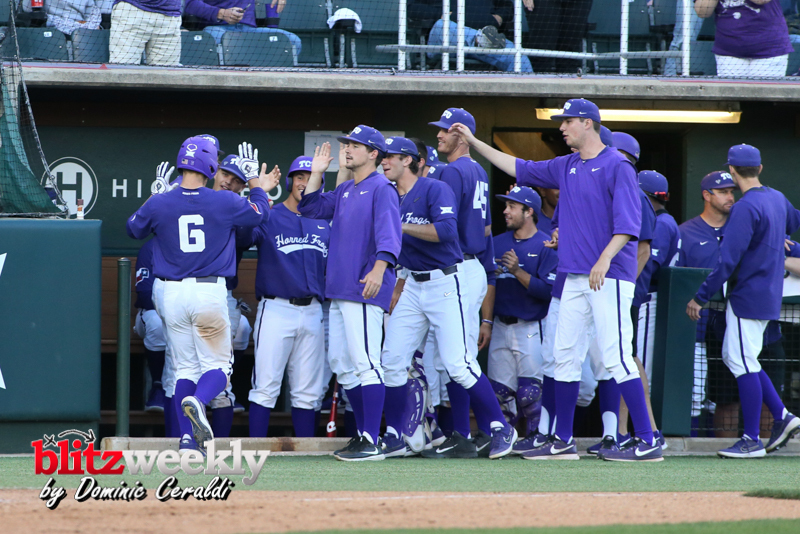 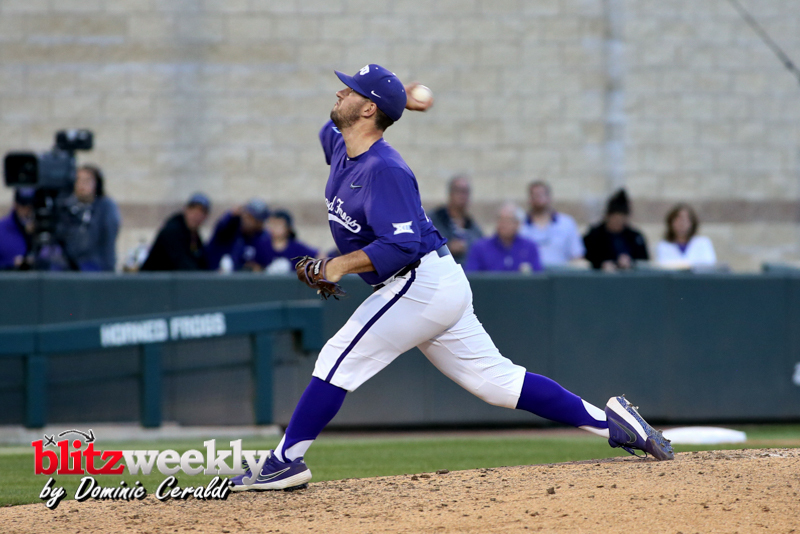 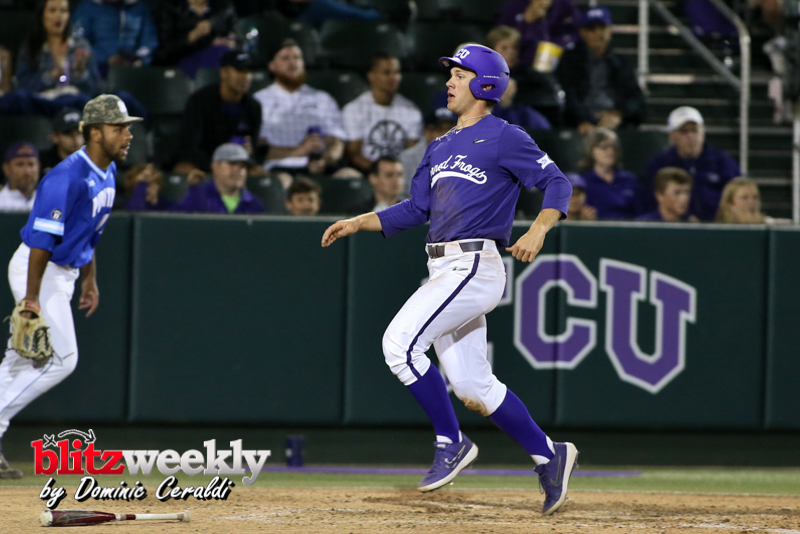 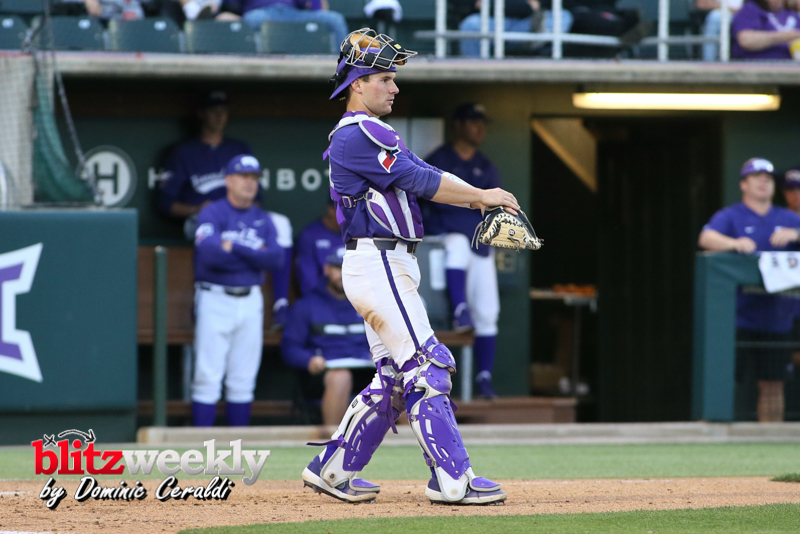 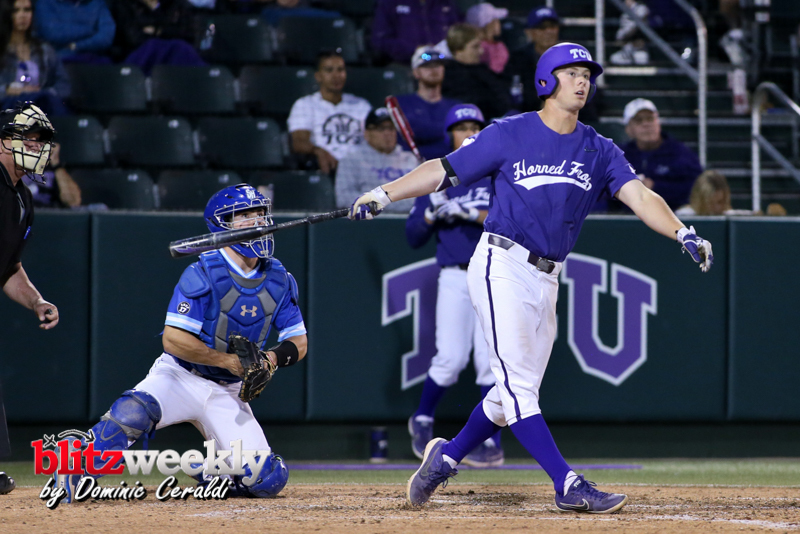 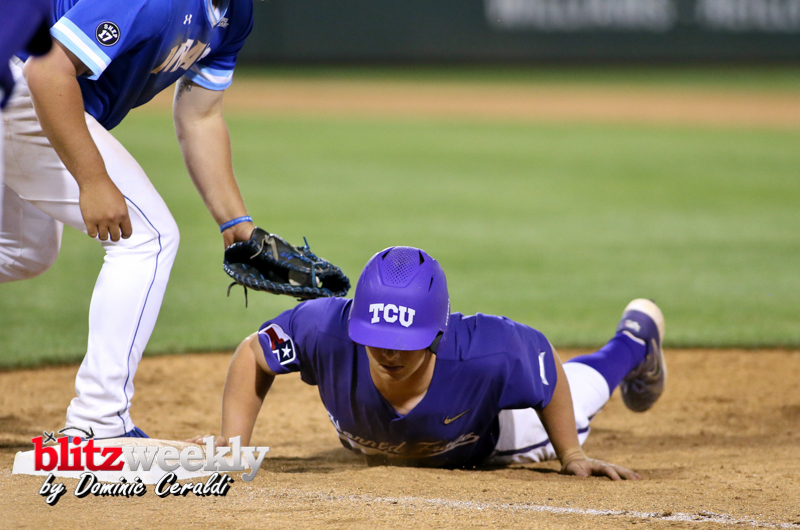 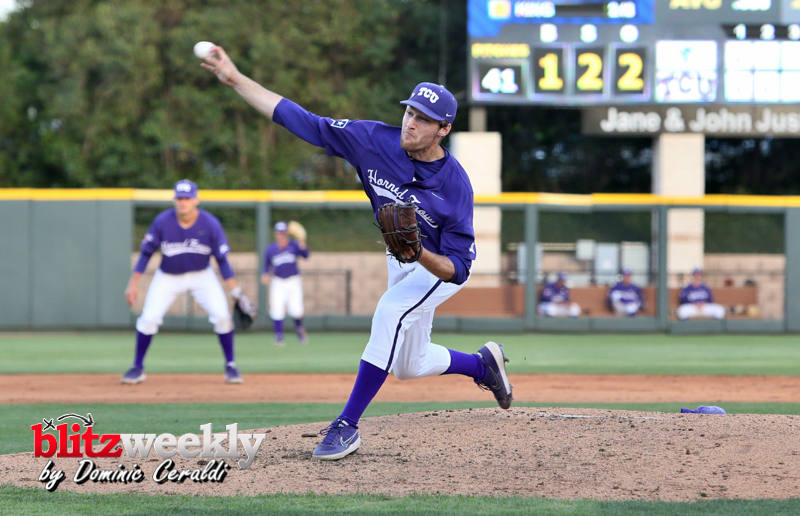 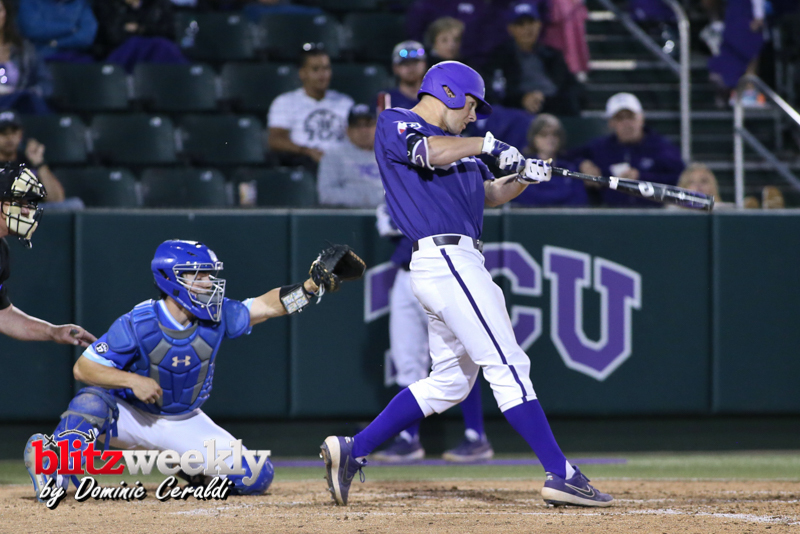 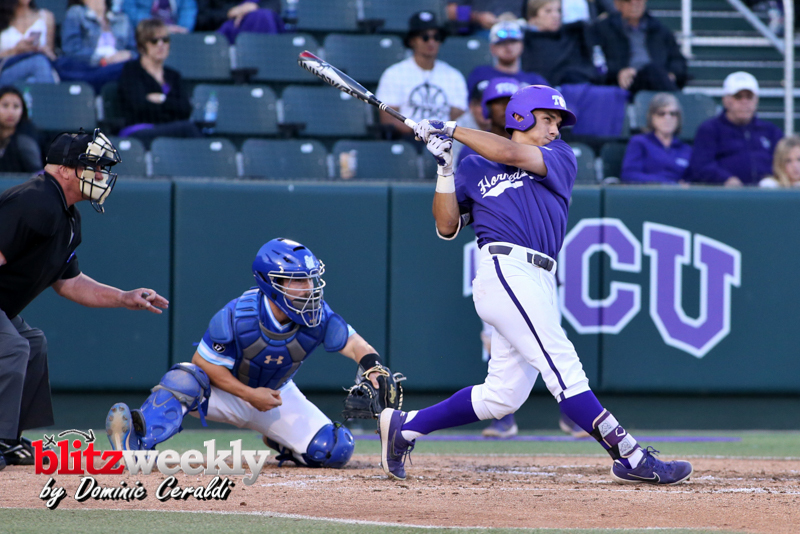 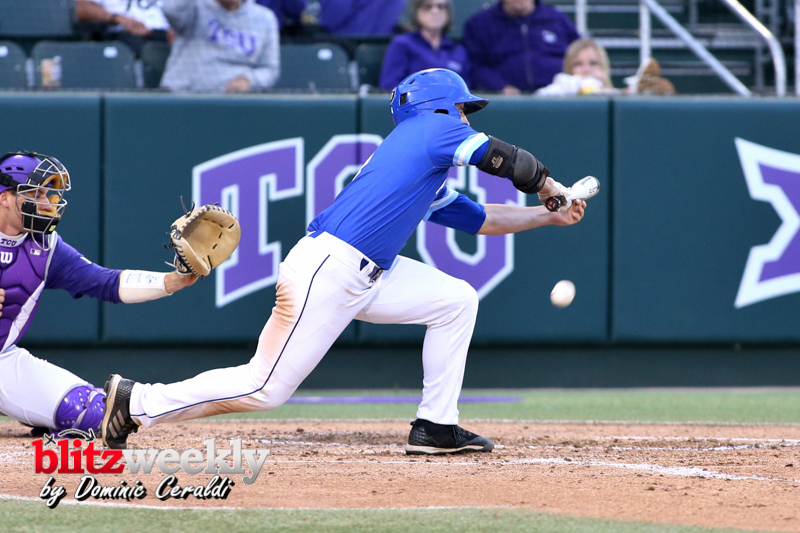 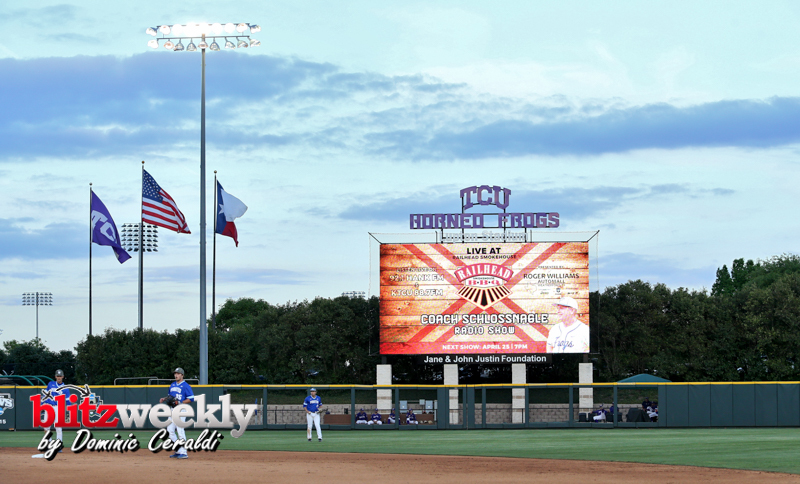 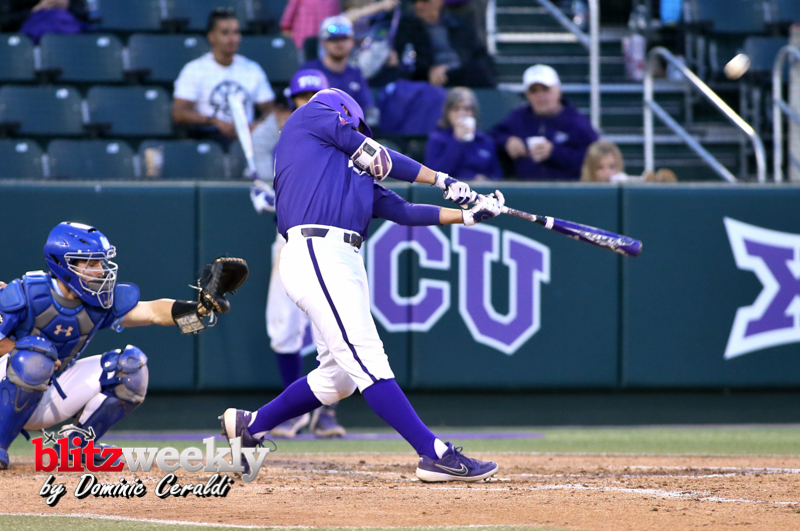 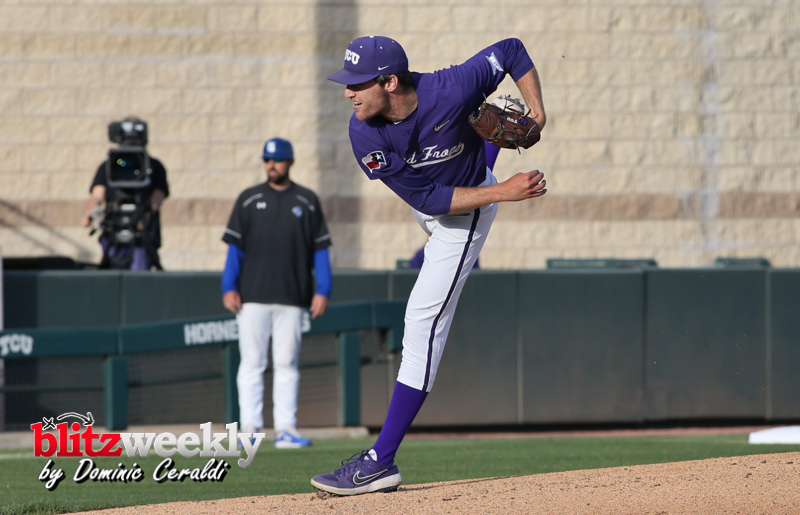 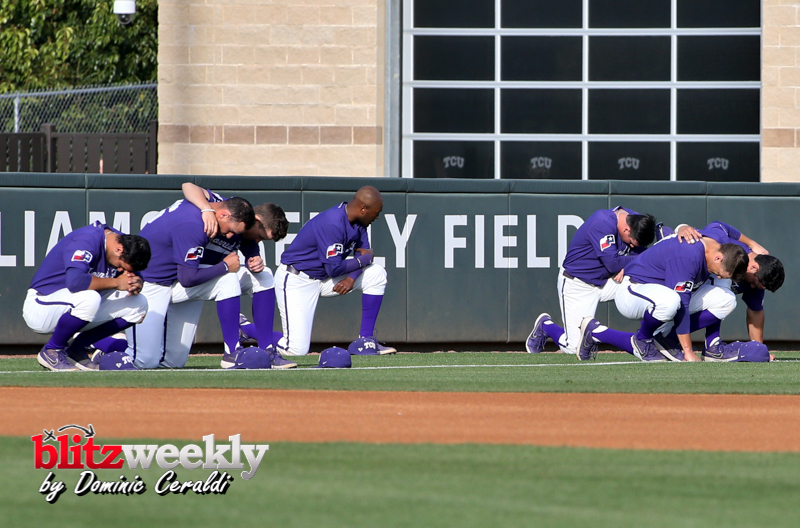 TCU completed the doubleheader sweep of Seton Hall with an 8-6 win Friday night at Lupton Stadium. 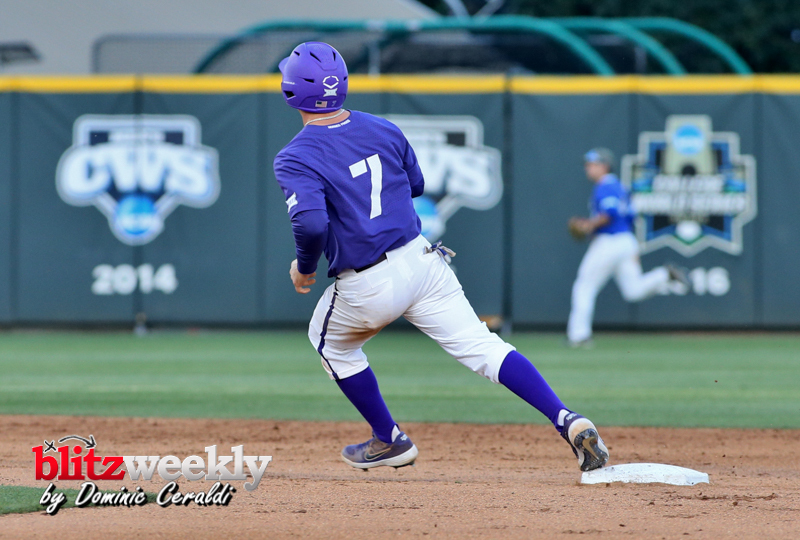 Johnny Rizer’s fourth RBI of the game broke a 6-6 tie in the eighth. 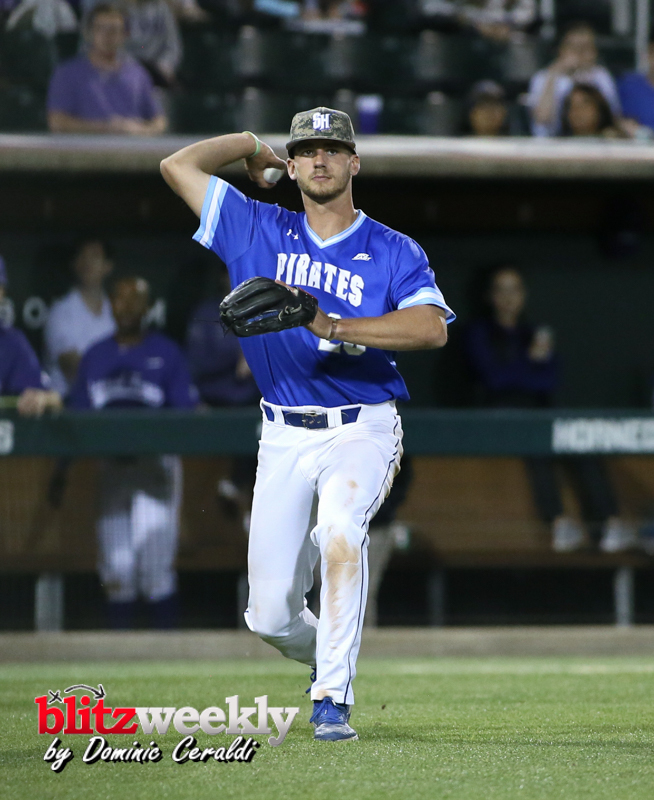 He also homered in the game. 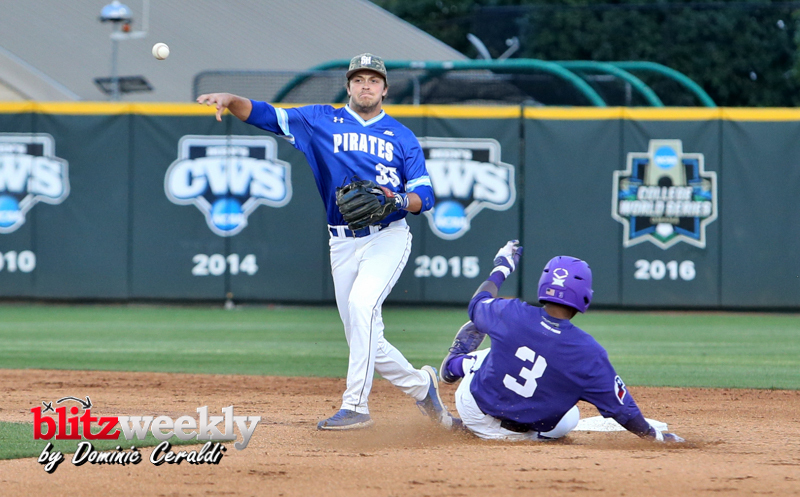 Seton Hall started the see-saw battle with the first two runs of the game. 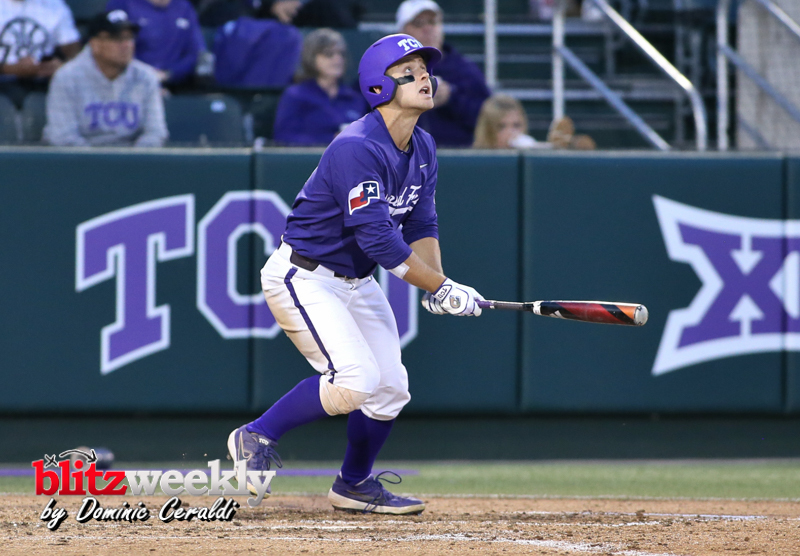 Sebastiano Santorelli’s drove in both runs with a base hit in the second and a sacrifice fly in the fourth. 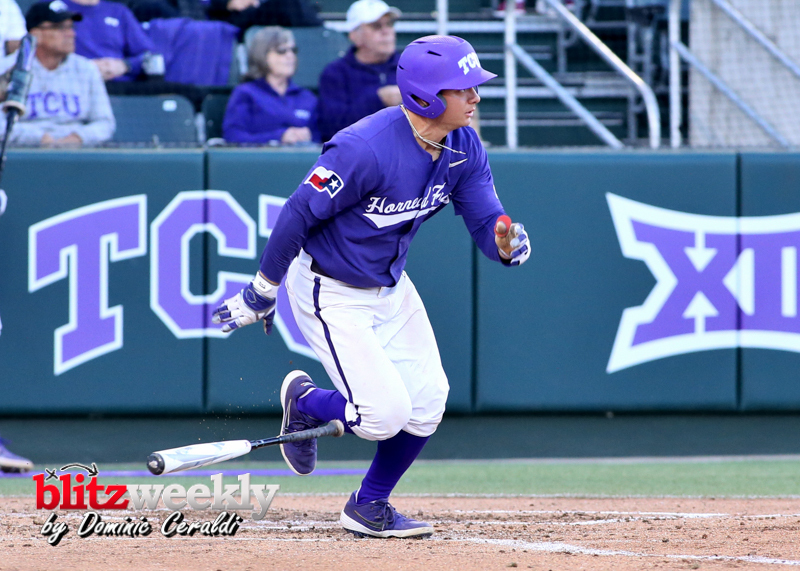 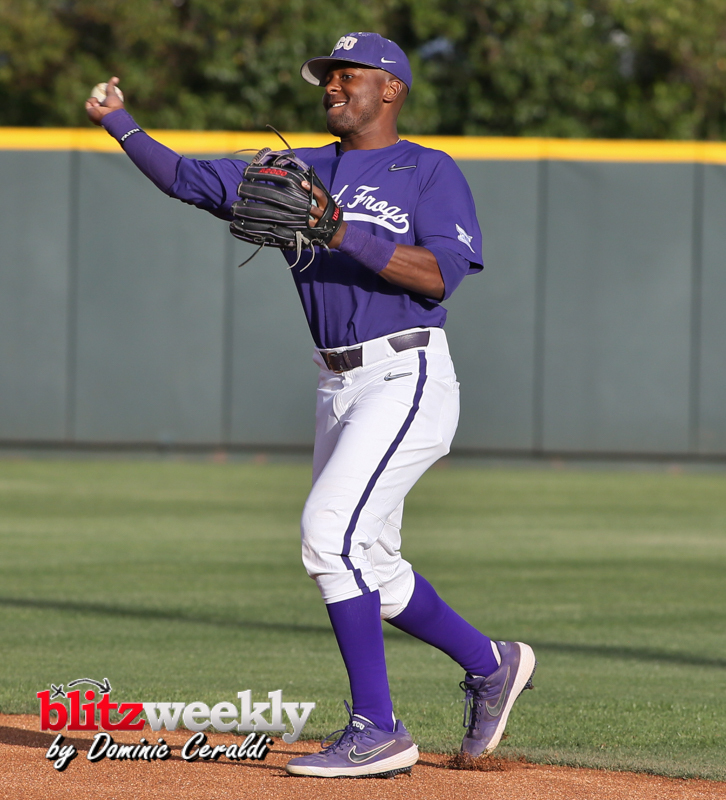 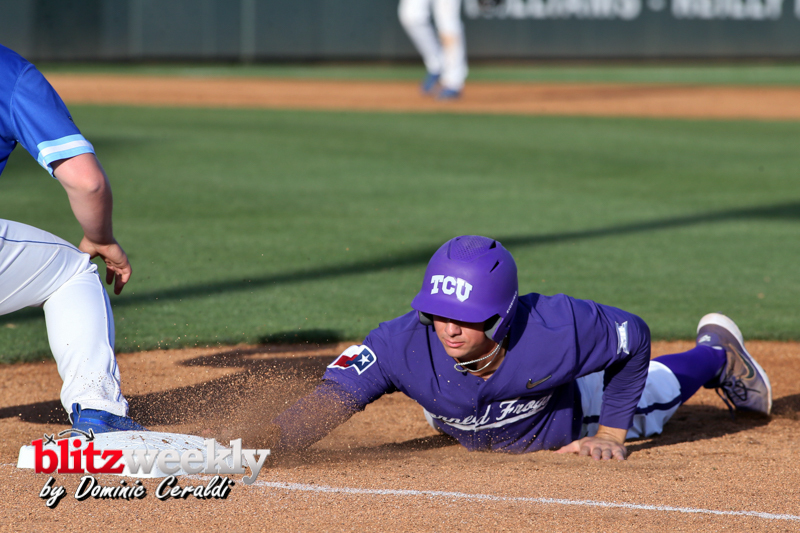 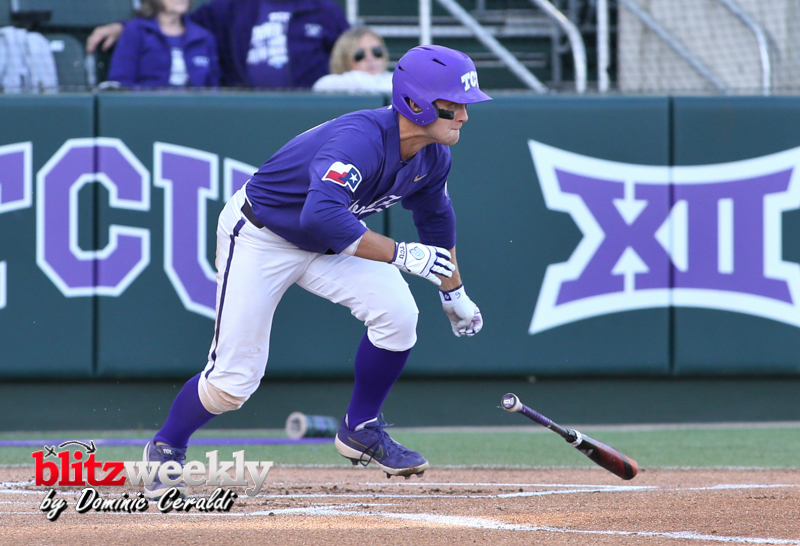 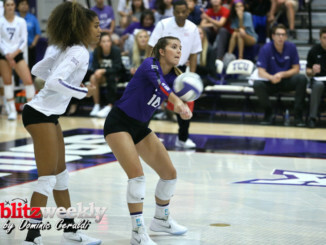 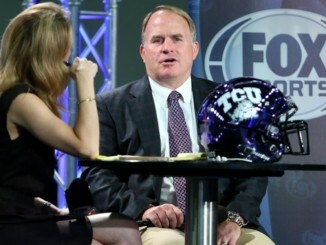 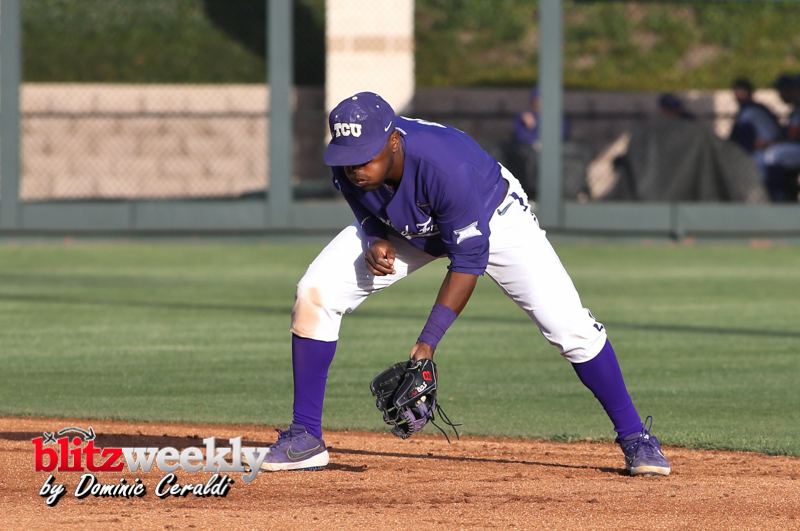 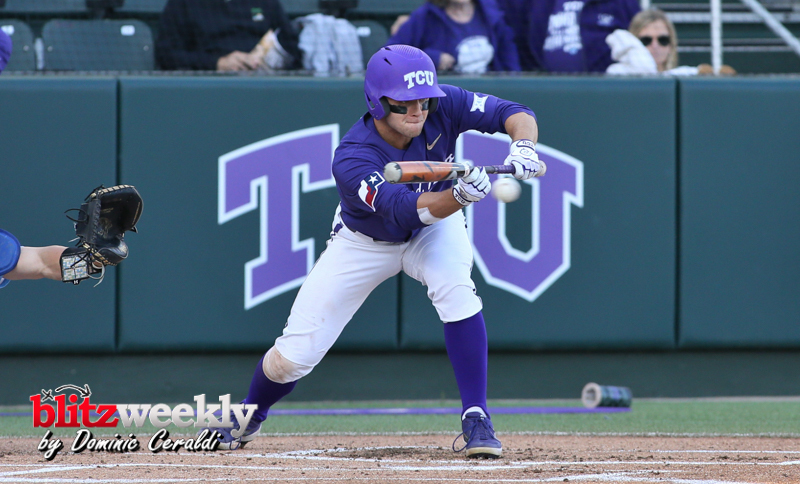 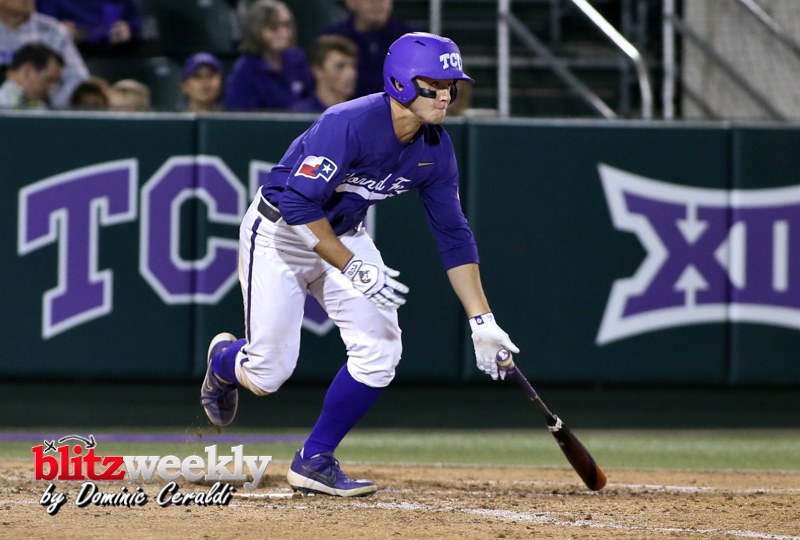 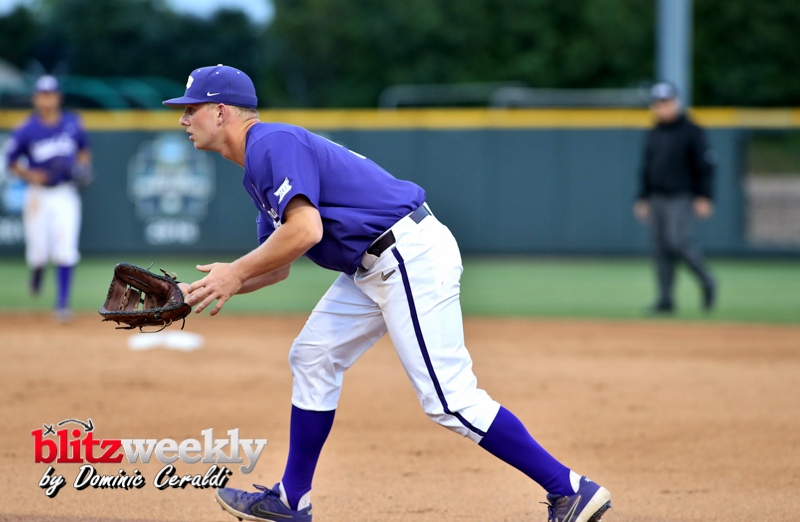 The Frogs bounced back in the fourth, scoring four times on a pair of home runs. 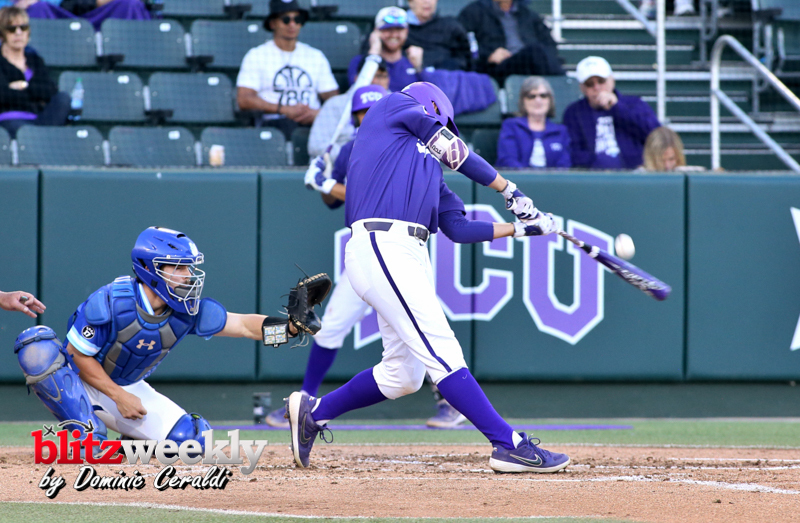 Hunter Wolfe’s lead-off home run cut the deficit in half. 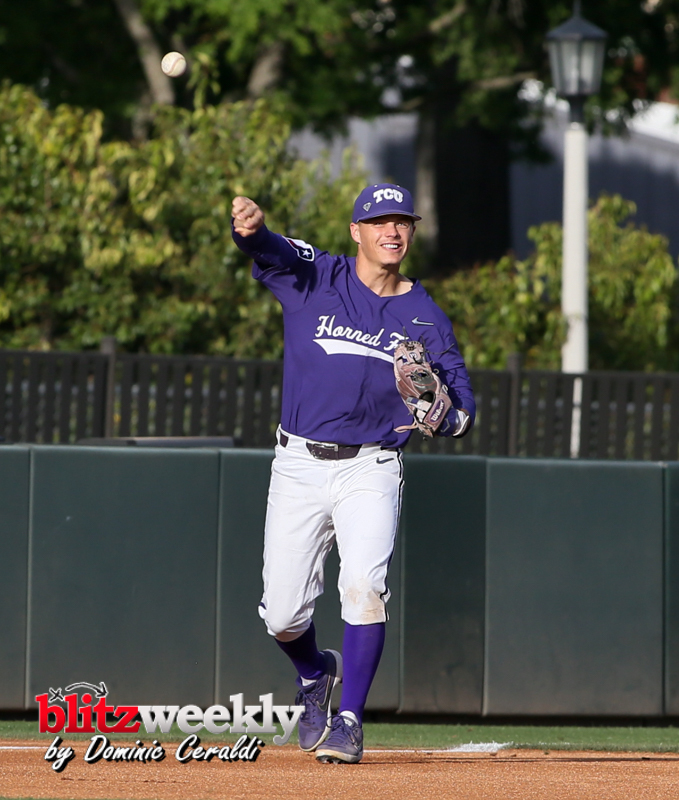 Johnny Rizer launched a three-run blast to right for a 4-2 lead. 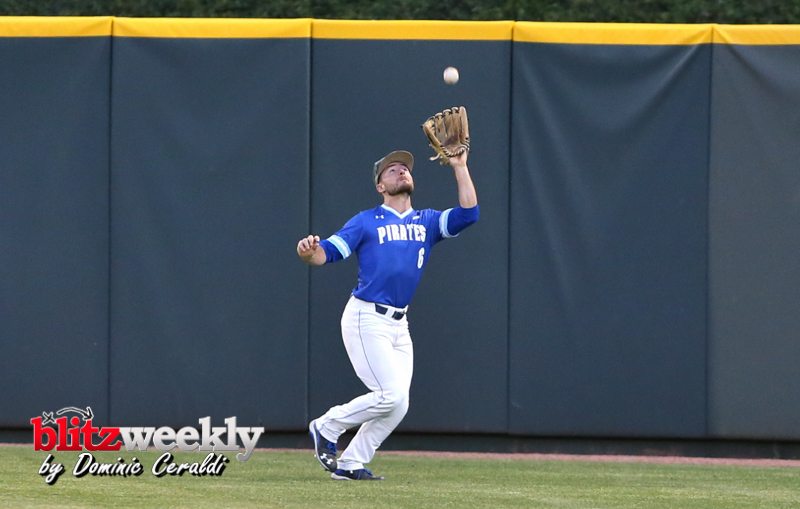 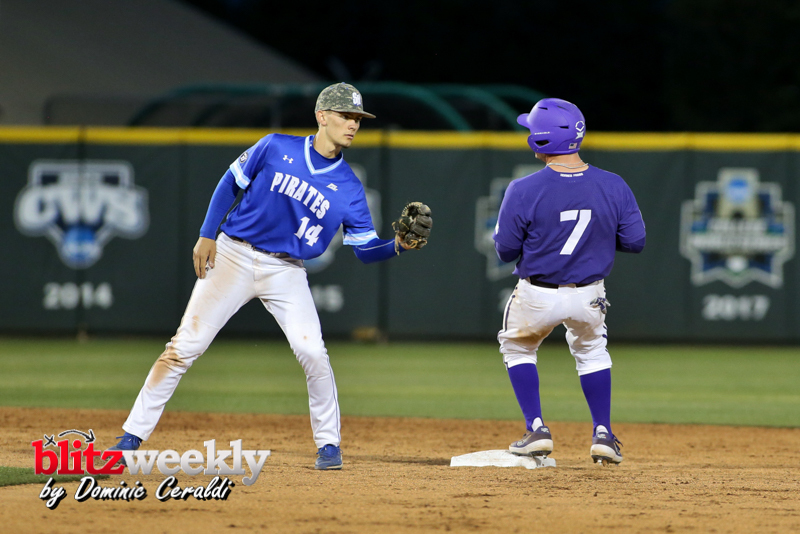 A three-run outburst in the fifth followed for the Pirates as they regained their lead, 5-4. 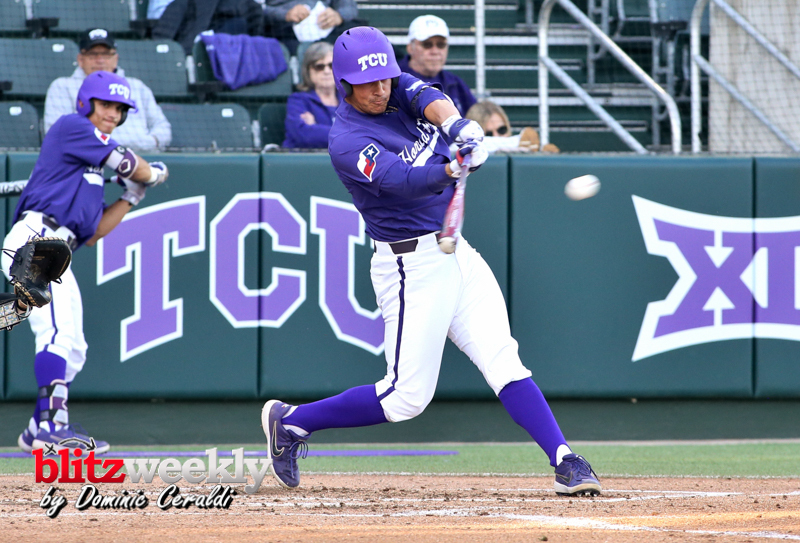 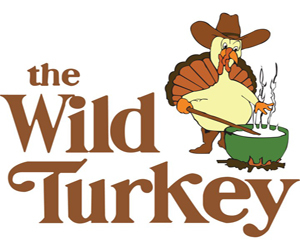 TCU scored twice in the sixth to turn a one-run deficit into a one-run lead, 6-5. 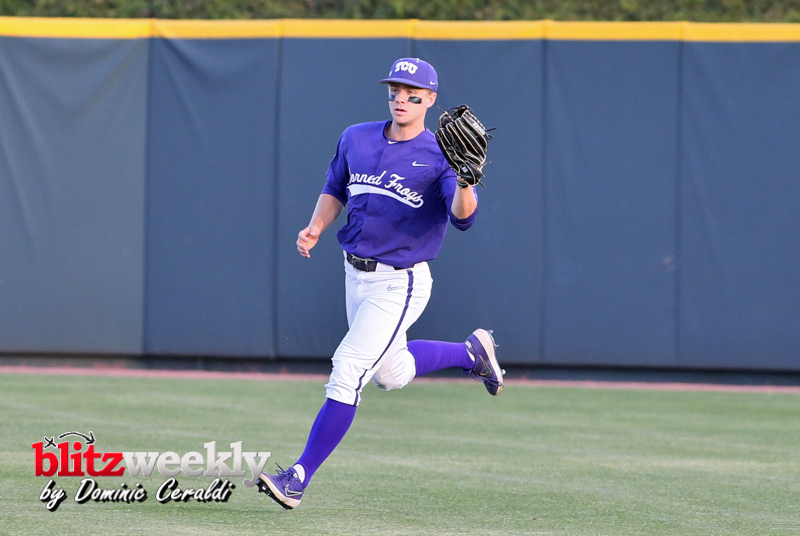 Josh Watson drew a lead-off walk, stole second and scored on a Jake Guenther base hit. 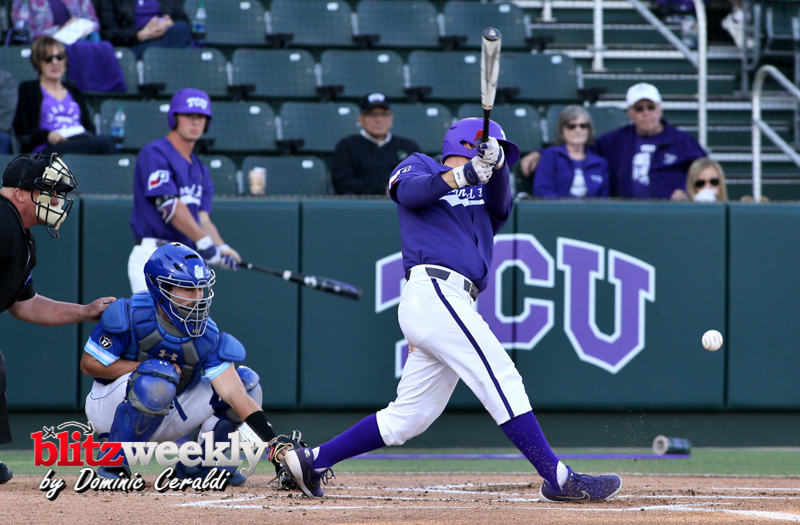 A bases-loaded sacrifice fly from Austin Henry put the Frogs in front. 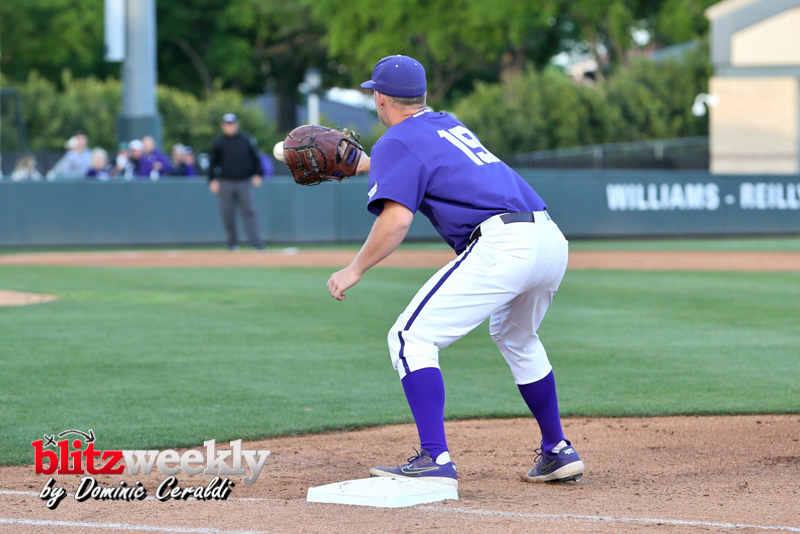 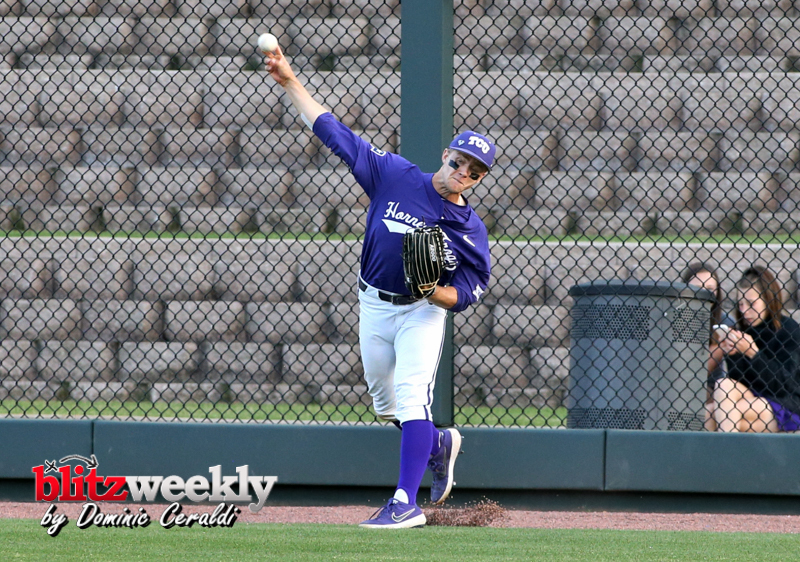 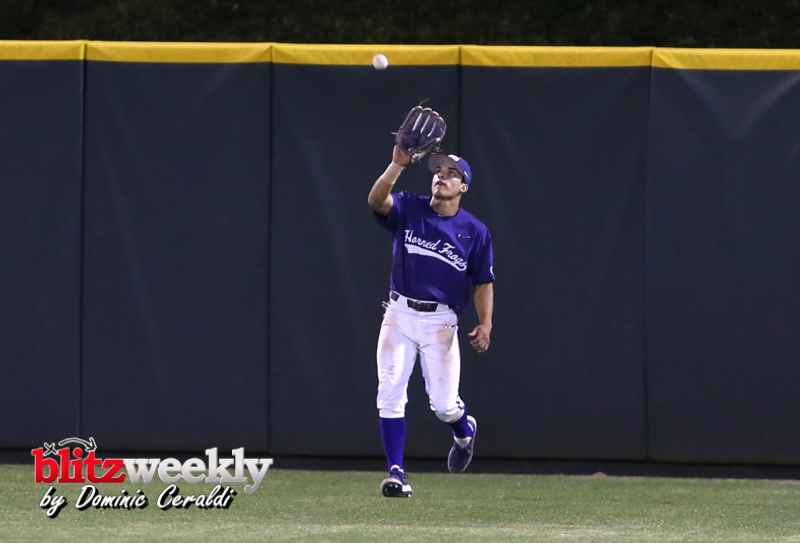 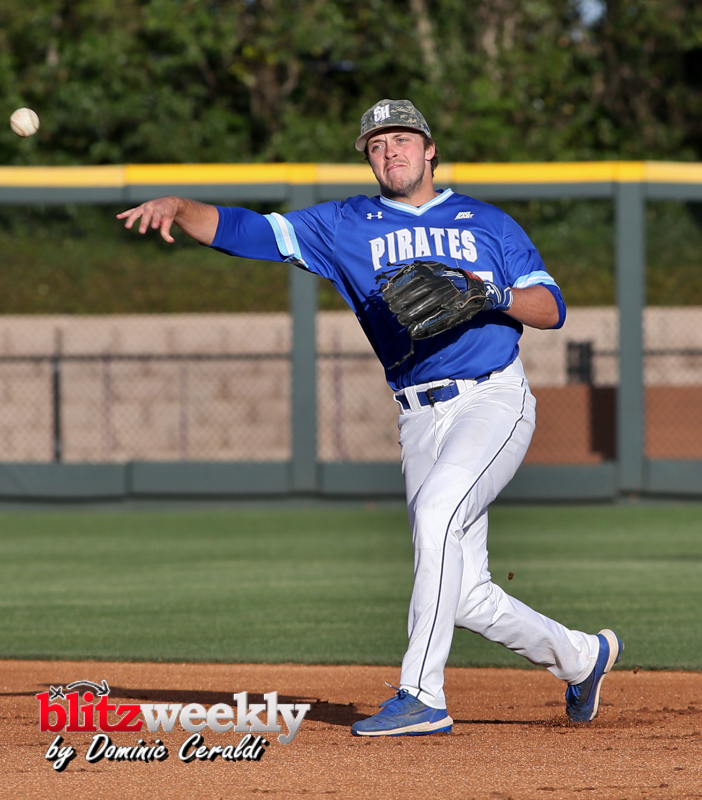 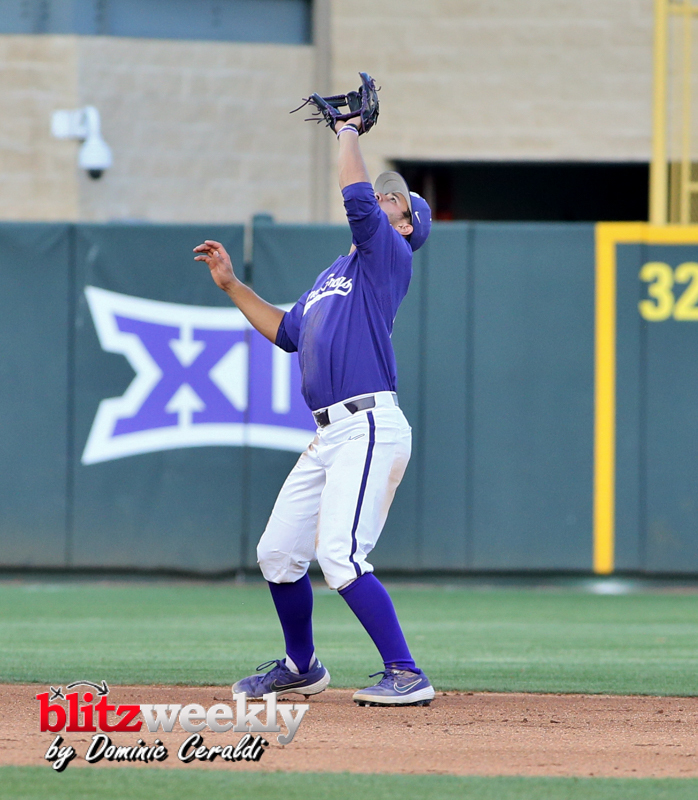 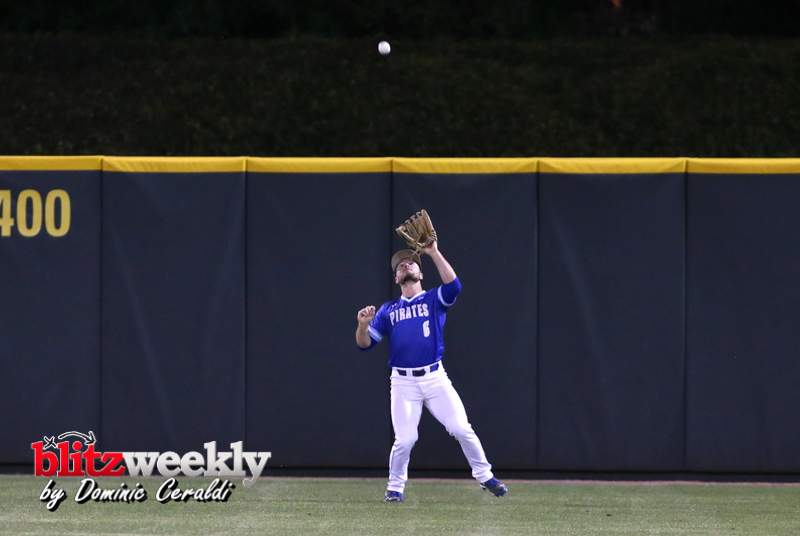 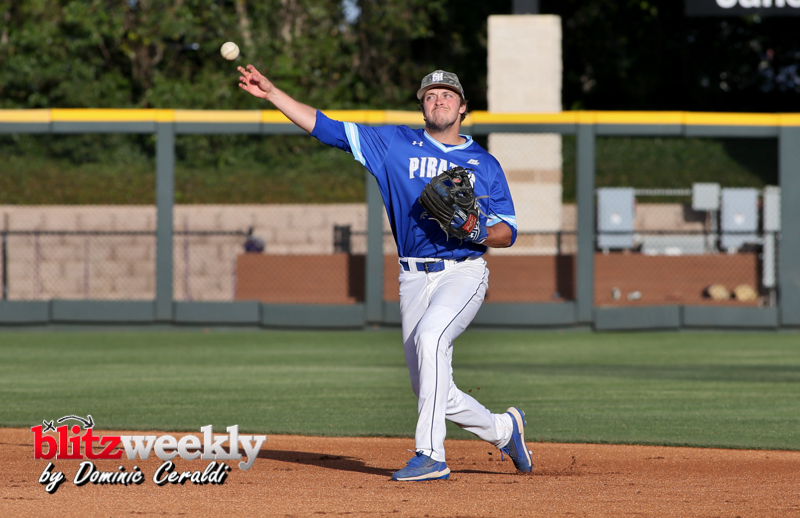 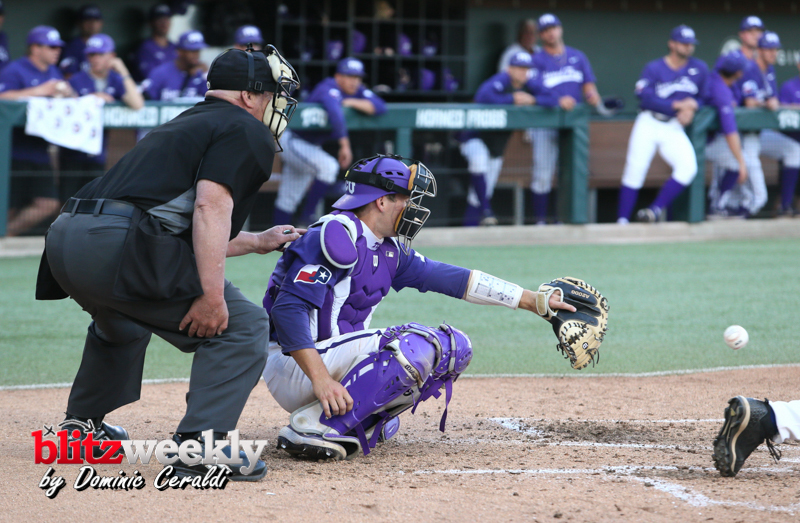 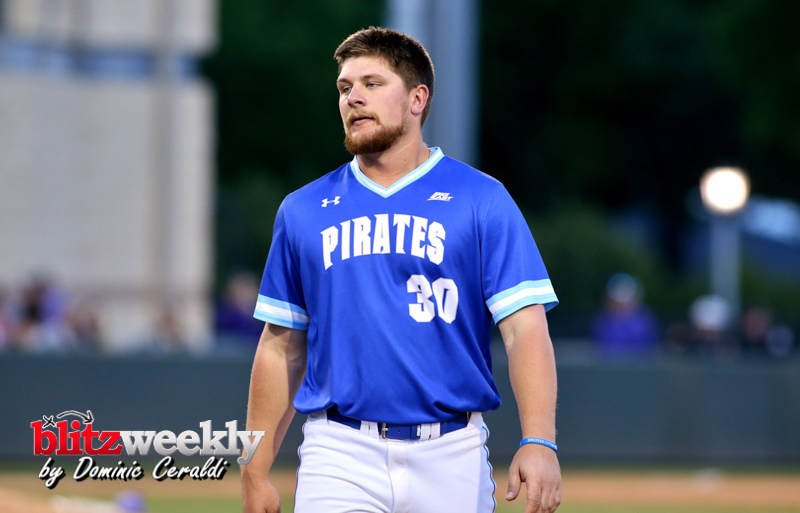 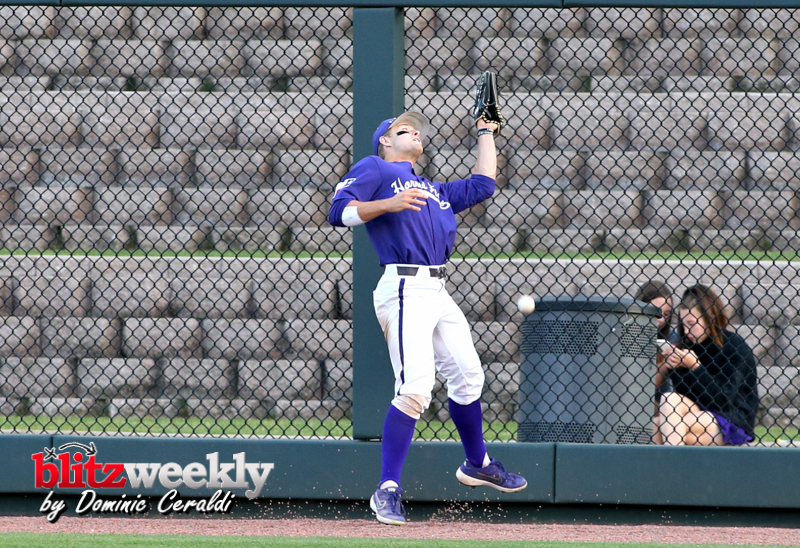 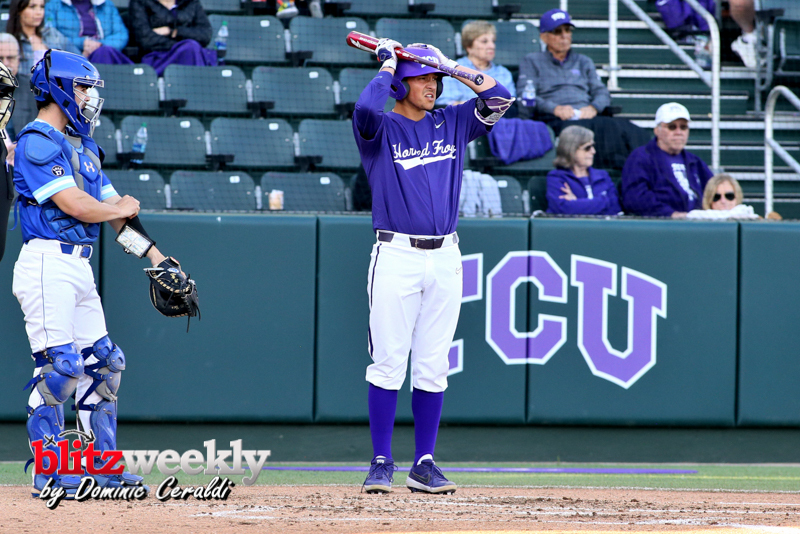 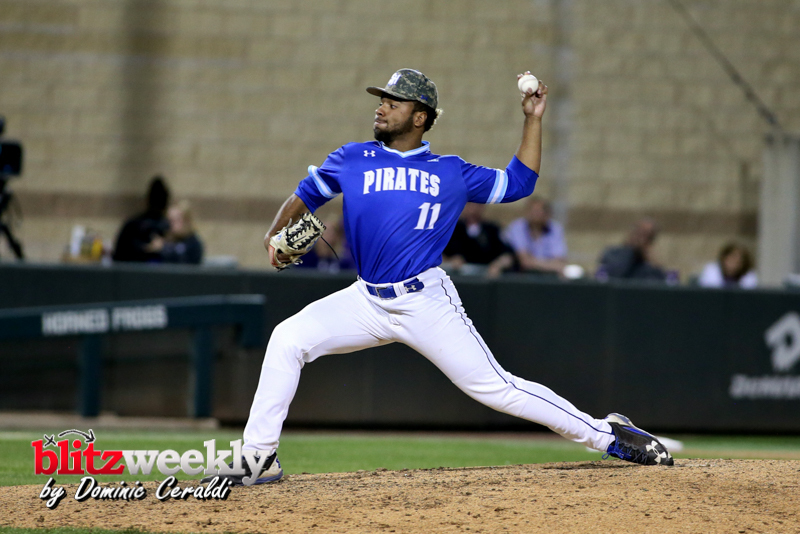 An error in the top of the eighth allowed the Pirates to score the tying run, but the Frogs responded in the bottom of the frame with a pair of runs. 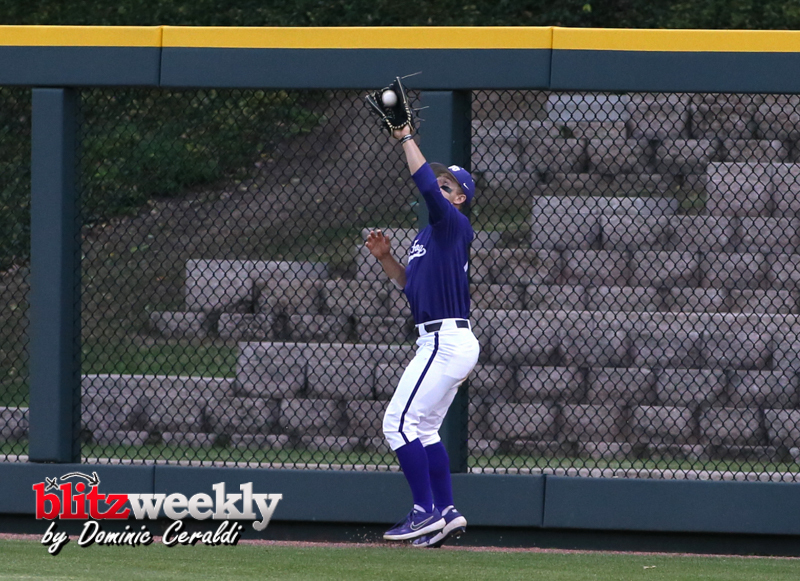 Rizer’s sacrifice fly drove in Guenther for the lead. 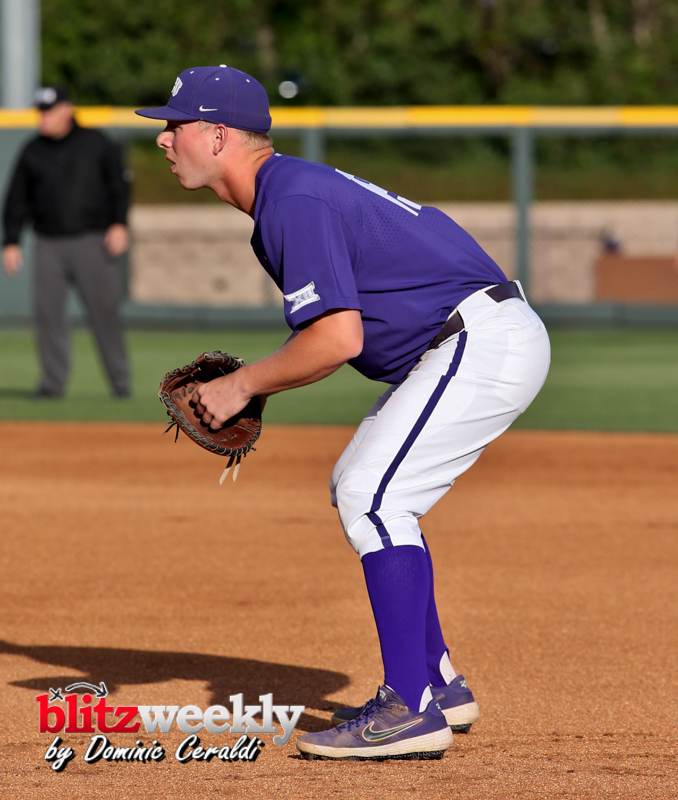 Zach Humphreys provided an insurance run with a base hit up the middle. 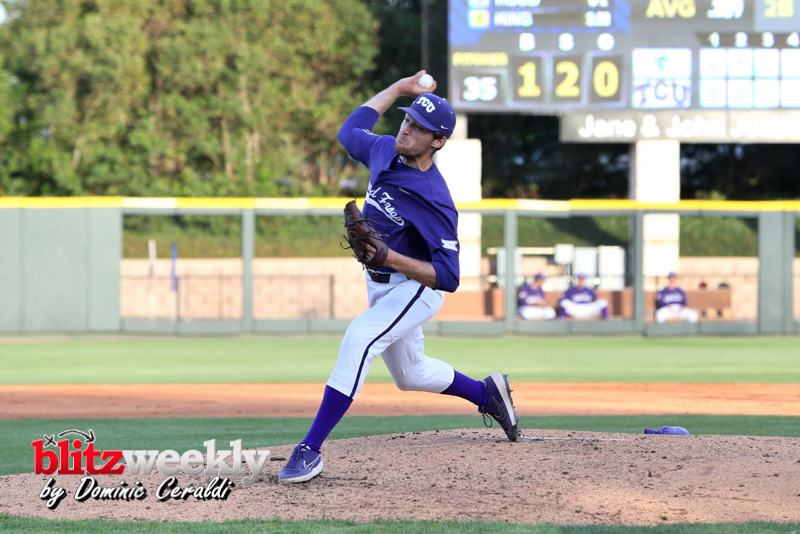 Marcelo Perez (3-1) retired all three batters in the ninth to close out the win. 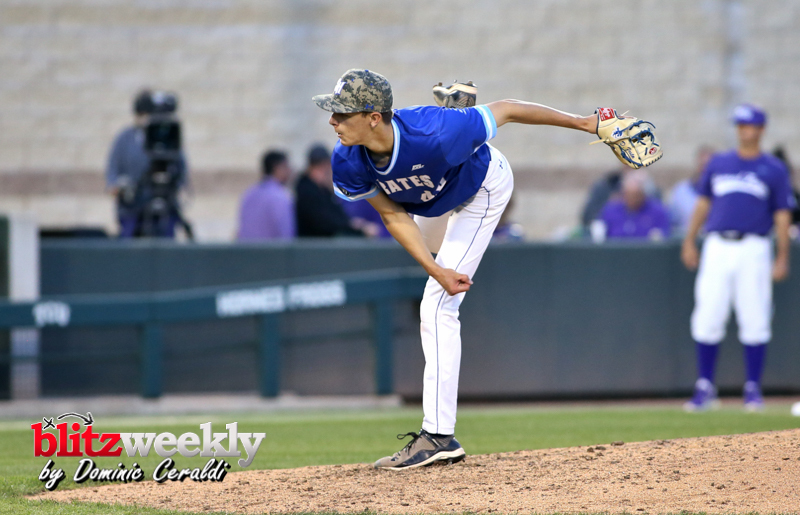 Jake Eissler provided solid middle relief, surrendering just an unearned run on five hits and struck out six in 2 2/3 innings. 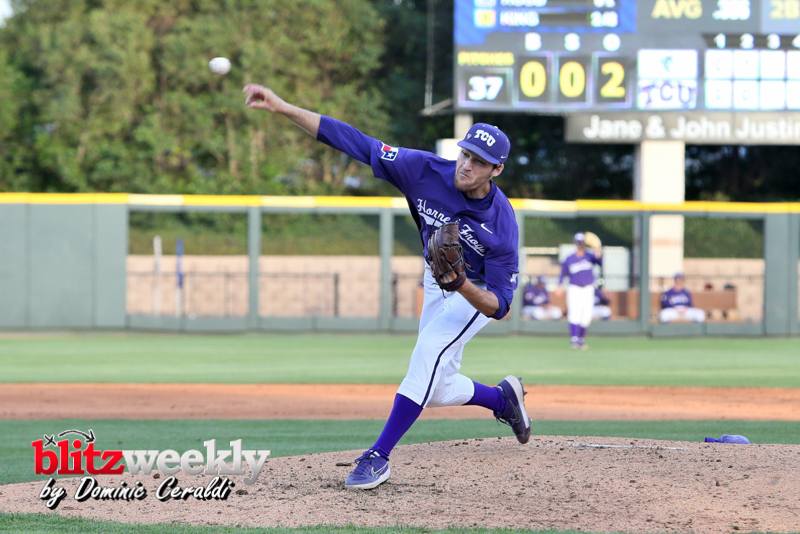 Charles King started and was touched for five runs (four earned) on seven hits with three strikeouts in 4 2/3 innings.